Not with a bang, but with a re-aggravation of a right femoral-acetabular impingement with labral tear. 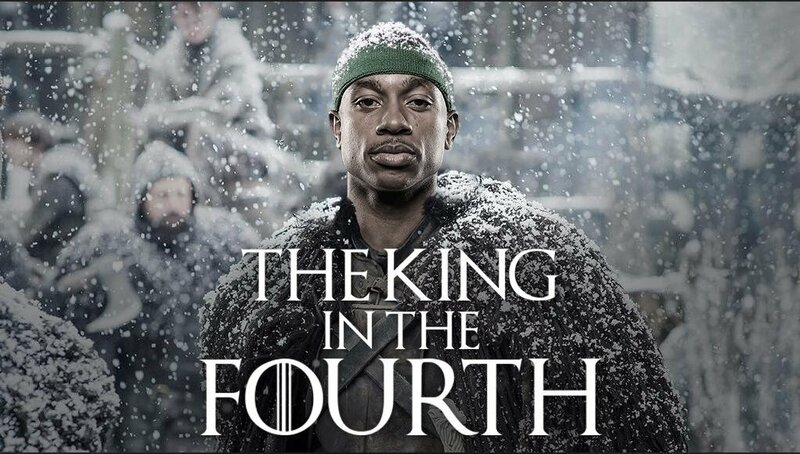 To those of us without a medical degree, that's a hip strain and labrum tear, which is how the King in the Fourth ends his season; the Boston Celtics announced this afternoon that Isaiah Thomas' season would end after aggravating the injury in last night's demolition at the hands of the defending NBA champion Cleveland Cavaliers. Thomas, who initially strained the hip in Game Six of the Washington Wizards series, had been playing noticeably worse in the last several games, though the existence and severity of the injury wasn't revealed until last night at halftime, when the hobbled point guard was unable to return. "Isaiah has worked tirelessly to manage this injury since it first occurred...the swelling increased during the first two games against Cleveland, and in order to avoid more significant long-term damage to his hip, we could no longer allow him to continue." Thomas did not travel with the team to Cleveland, and is currently considering treatment options for the injury, which could - but isn't certain to - include surgery. More details will likely be forthcoming in this developing story, but for now, Boston's post-season aspirations look even more grim than they did after last night's blow out. IT helped C's advance to ECF despite dealing with an injury and the death of his sister. Tough dude. Even still, in a season that many projected a success if the club reached 48 wins and made it out of the first round of the playoffs yet produced five more wins and a trip to the conference finals and an All-Star bid, it's hard to be disappointed. Rest assured, there will always be those who can wrest failure from the jaws of success, however. For the rest of us, there's plenty to be satisfied about with the club, and a bright - if incomplete - future ahead. Thanks for everything in spite of what you went through, Isaiah; we're going to remember this year for a long time indeed.